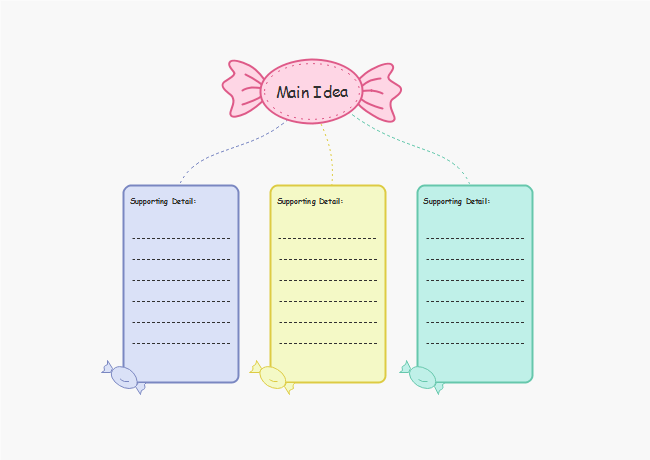 Description: Students can get candies after filling in the main idea and details. Guess this graphic organizer with colorful frames and sweet candies can sure attract children's attention. You can download and use it for free.